Key to the Summit’s agility is the extreme mass centralization of the 4th generation REV Gen4 platform. 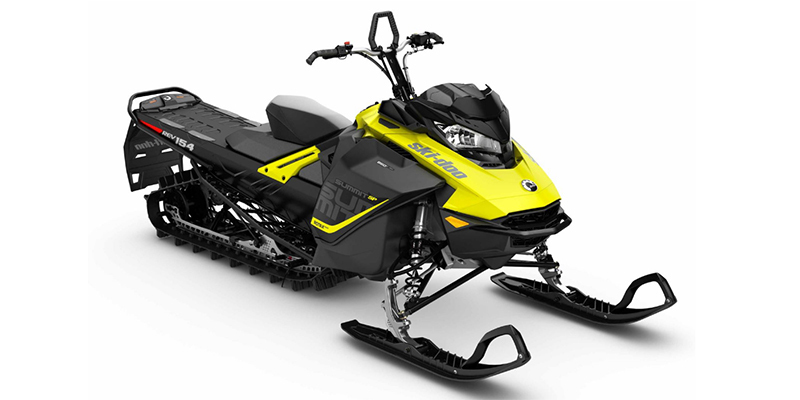 The 850 E-TEC engine is compact and centered between the skis, making the vehicle easy to roll. The trademark pyramidal frame, new die-cast aluminum front suspension module and new heat exchanger design ensure it’s strong, yet lightweight. A major factor in the quickness of REV Gen4 sleds is the new pDrive clutch. Fast and friction-free dual rollers transfer torque in place of traditional sliding buttons on this 100% new clutch. The oversize rollers with needle bearings, wide flyweights and shaft-on-shaft design emphasize smooth operation and long life. Ultra-responsive shifting, impressive RPM consistency and 2.8 lb./ 1.3 kg lighter than the TRA VII. Similar geometry and design to the stable and precise RAS 2, optimized for the REV Gen4 platform with 1 in./25mm added suspension stroke and .7 lbs (0.3 kg) reduced weight vs. RAS 2.